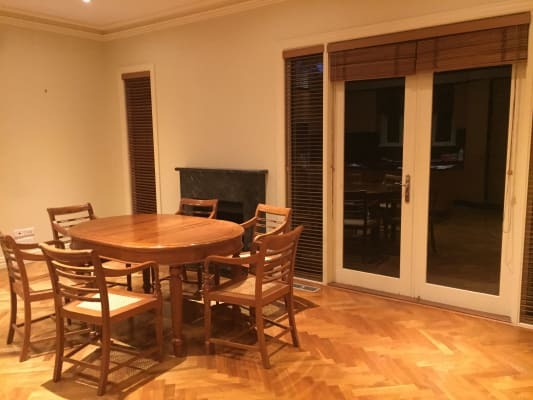 Looking for young professionals (20-35) to move into a spacious and beautiful home in Toorak! You'll be living with me and three others, Tiffany, Travis and Nick, for a total of five housemates. Location: Very close to lots of public transport (especially trams 16, 58 and 72). 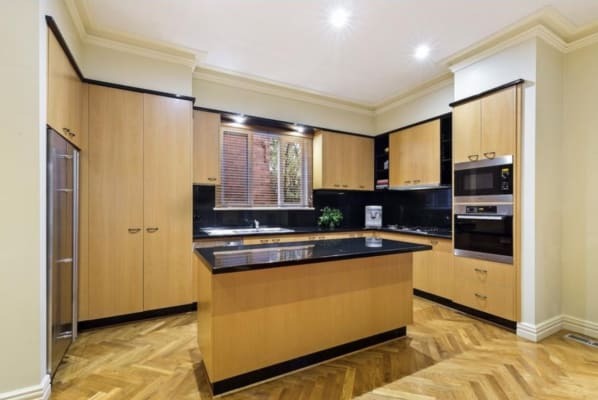 Also walking distance to Kooyong Station. If you work in the city you'll find it very easy to get to work. Bedroom: There is the downstairs bedroom available. There are built in cupboards and a desk, and we can provide a bed if you need it. Bathroom: You will be sharing the main upstairs bathroom with Travis and Nick. 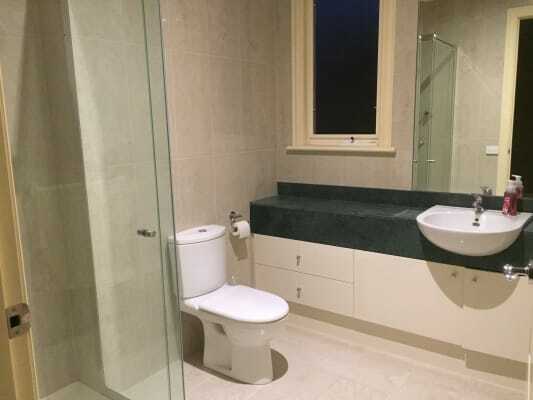 There is also a downstairs "powder room" which contains a toilet (but no shower). Parking: There is plenty of on street parking both outside the property and nearby. Other: There's a cellar (which you're welcome to use if you're a wine-o - we also use it for brewing beer sometimes!) 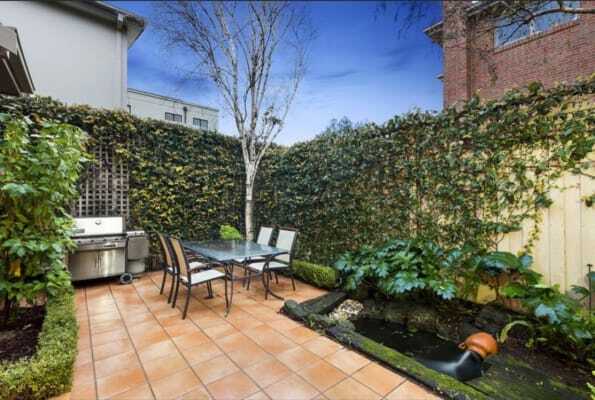 and small paved backyard area with a BBQ and pond. There's also a laundry (with washing machine, but no dryer). Non-smoking household. Rent and bills: Rent for the upstairs room is $270 p/w, not including bills. Bills are split equally between all household members. Bond is 4 weeks' rent. Jon: I'm a lawyer working in the CBD full time. 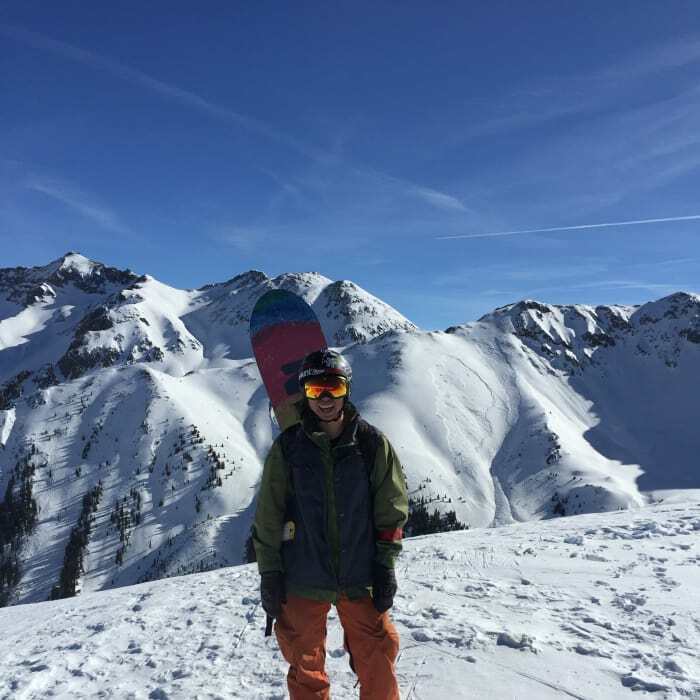 In my free time I enjoy "adventurous" sports - I head up to the snow most weekends during the winter, and like to go hiking and camping during the summer. 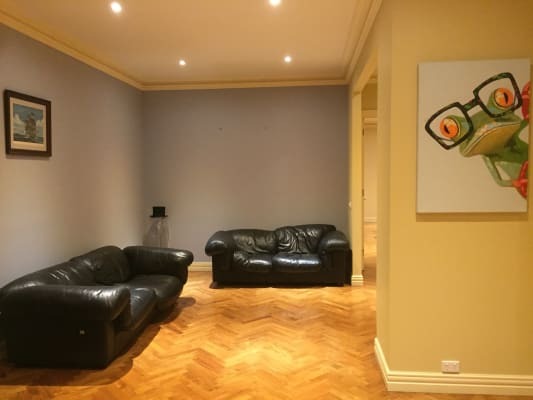 Tiffany: Tiffany is a physiotherapist working in Richmond and Toorak. She's a bit of a "hobby collector" - current project is working on her motorbike! She also likes camping, hiking, snowboarding, and loves dogs. Travis: Travis is an electrician project manager. Laid back and easy going, but also enjoys getting out and about. Nick: Nick works for a travel agency. He will be moving in around late January. You: A young professional 20-35 y/o. Someone with a positive outlook on life who is looking for a comfortable place to call home. Respectful and clean. Non-smoker. House vibe: We're social people who are enjoyable to live with. While we don't do everything together (it's healthy to live separate lives! ), we want to live with people who are happy to have a chat, perhaps over a glass of wine or a beer in the evening. Not really looking to live with people who hole themselves up in their rooms and never talk to anyone.